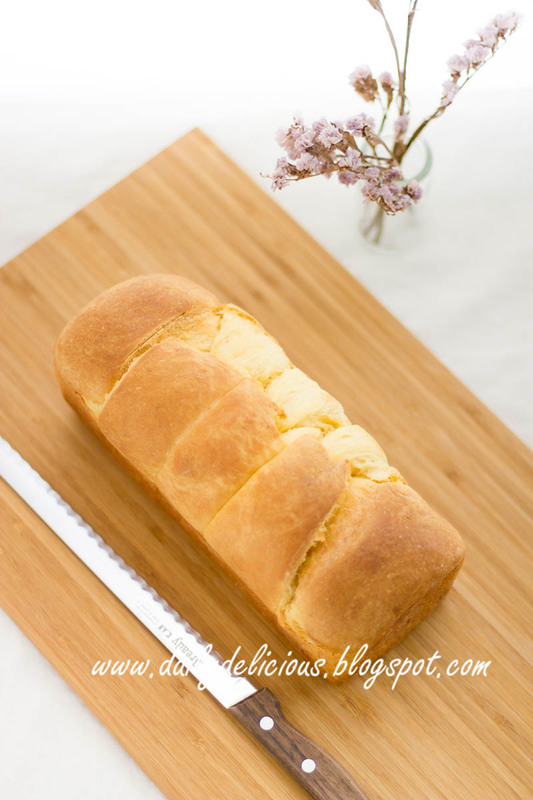 One of my favourite bread is brioche, the richness of it is so unique. 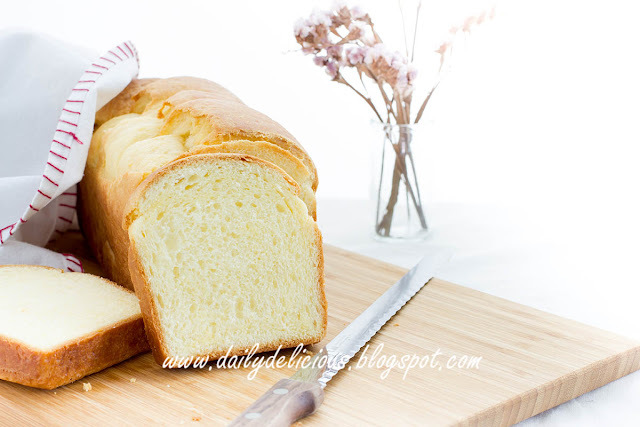 Due to a lot of eggs and butter, this bread is not easy to knead, it's so sticky ^^". Actually I like to knead it by hand (I have very cold hand, well but not cold heart, hehe), but many people find it's time consuming and not fun at all. 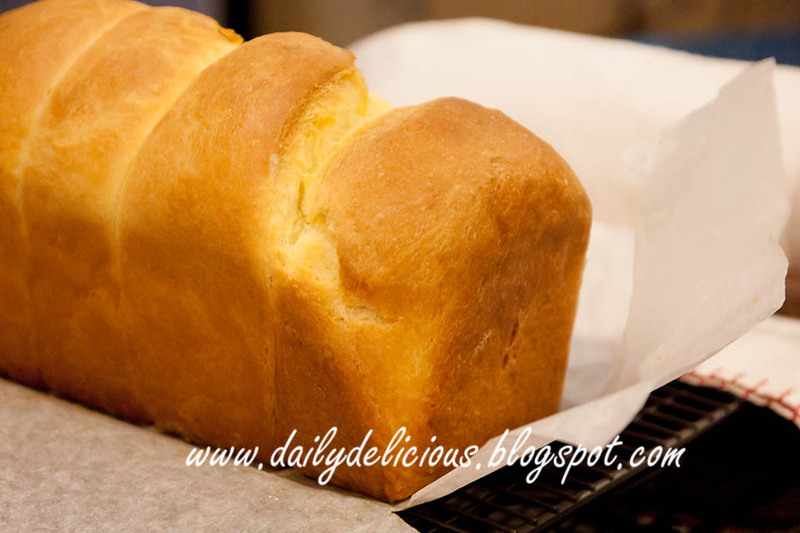 So I think that I have to give the recipe that use stand mixer, and other people will have a chance to fall in love with this bread too. You will need to be patient as it still need a lot of time (but if you don't have to knead it yourself, you can do other thing while waiting, haha). 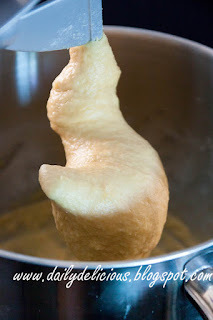 The first step need about 10 minutes to knead the flour and egg together, then add the butter. After that you still need to be patient, hehe. It has to be cold so you will be able to work with it, and 1 hour in the fridge is for this reason. After that 2 hours for it to rise until double in size. Well, I know that you want to close this window and start searching for other recipe instead. 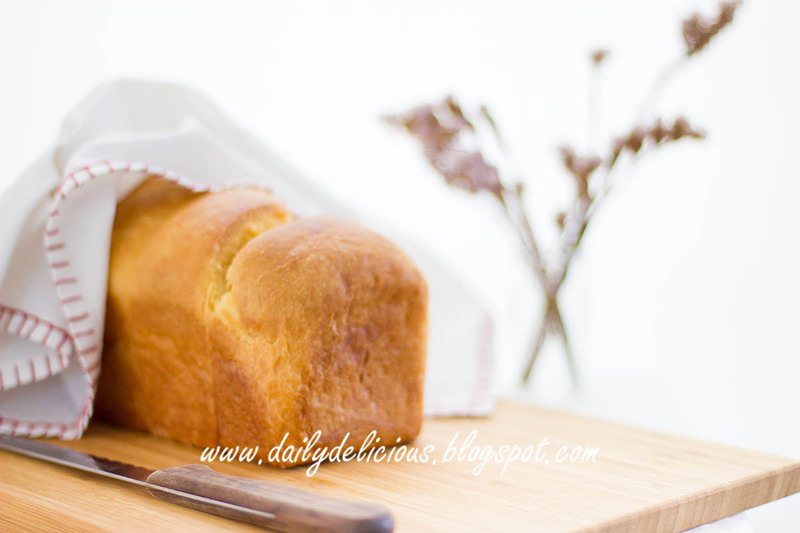 But, please give this bread a try, the taste and texture of it is so rich and addictive. 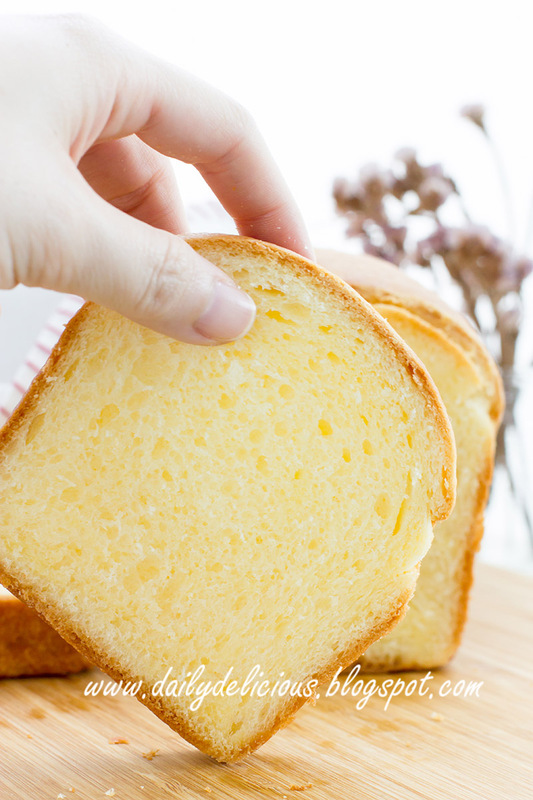 You can turn it into French toast or bread pudding that has so different than the one that use simple white bread. So, please read the recipe (you will see it's easy ^^), and give it a try. I know you will fall it love with it too. 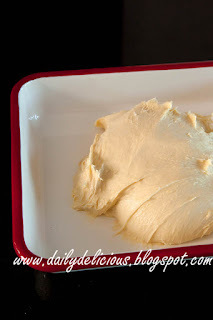 200g ................................... Unsalted butter, cut into small pieces. 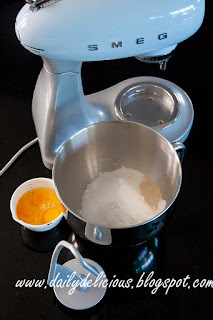 Put both flour, sugar, salt, and instant yeast into a bowl of a stand mixer. Turn on the mixer at low speed until fully mix. Pour the eggs into the bowl. Knead at low speed for 10 minutes, until smooth. 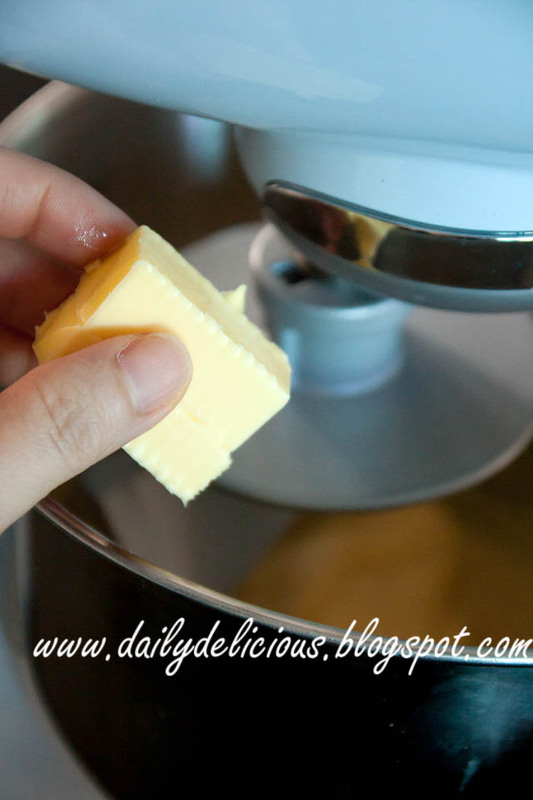 Using the low speed, add the butter into the bowl gradually until fully mix. Pour into a pan and cover with a piece of plastic wrap. 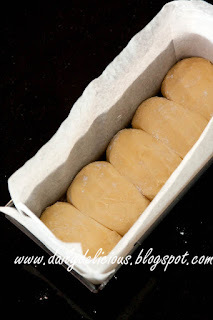 Line 25x10 cm loaf pan with baking paper. Take the dough from the fridge, cut into 5 pieces/ 133-135g each. 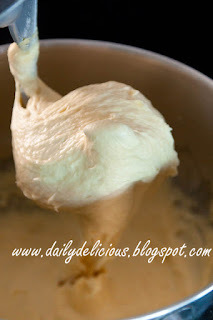 Dust your hand and work surface with flour (but not too much ^^), to make the dough les sticky. 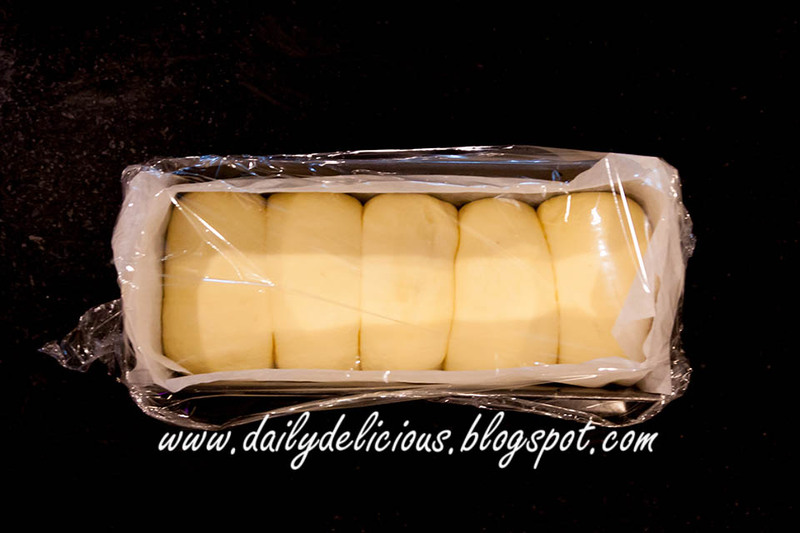 Place in the prepared loaf pan. 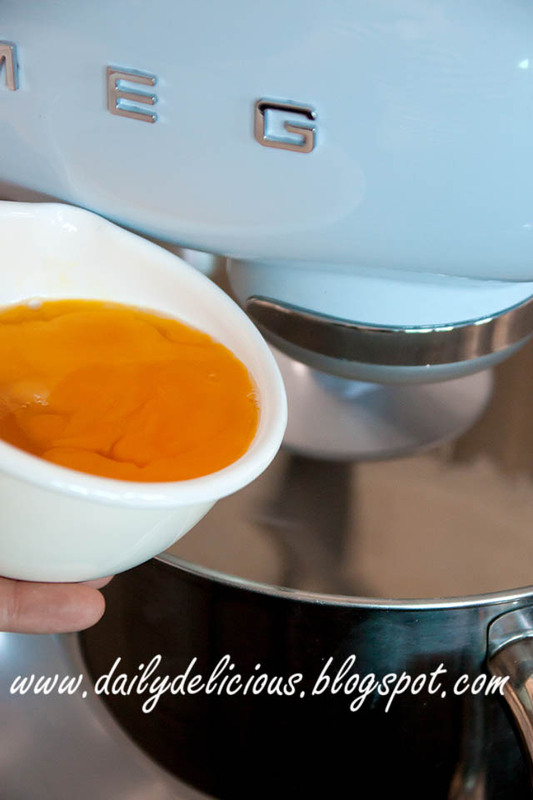 Press lightly to level the top. 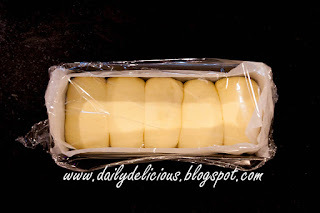 Cover with a piece of plastic wrap and let it rise until double in size about 1 1/2 to 2 hours. Bake in 160C preheated oven for 40 minutes. 200g egg equal to how many eggs? same question too, 200g is it about 6 eggs? Nice! I love Brioche bread formula, too. 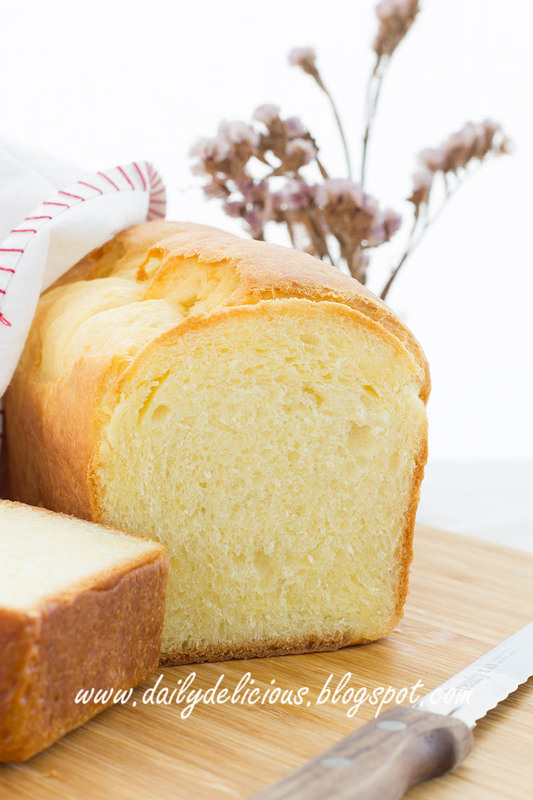 The basic brioche dough can be made to so many things. 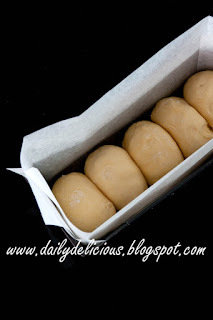 I tried yr recipe but the dough is too wet to handle, I can't roll it in a small ball. 1) Dough need to place in the freezer? 2) if I use Pullman tin with lip. What is the temperature and how long to bake? I didn't freeze it, but you can refrigerate it longer (or place in freezer) for more workable dough. For Pullman tin, you can use the same temperature as this one is quite low.